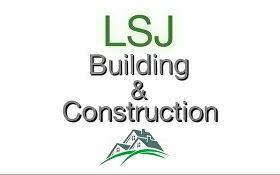 LSJ Building & Construction - Builder, Carpenter based in Cardiff, Caerdydd. LSJ Building & Construction is a professional, affordable and reliable company based in Cardiff and the surrounding areas. We guarantee you competent, efficient and punctual building services for any size of project. We are rapidly growing and are happy to be able to say that we have a high percentage of repeat work from satisfied customers. We value our customers’ homes and business premises carrying out our work in a careful and respectful manner, minimising disruption. We are highly experienced contractors and all of our work is carried out by competent persons to current regulations. IMPROVE YOUR HOME THE LSJ WAY! View our work on Facebook!